The advanced SOTDMA AIS class B transponder with integrated antenna splitter. 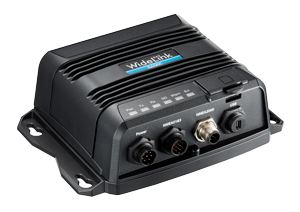 WideLink B600S is a further development of the advanced B600 with built-in antenna splitter. Its high performance splitter with zero insertion loss on reception path and low insertion loss on transmission path ensures optimized range of your VHF radio and AIS transponder. The AIS class B transponder is equipped with 72-channel high speed GNSS receiver. It supports GPS and GLONASS by default and optional BeiDou and Galileo. Its enhanced housing with IPx7 waterproof and shock and temperature robustness is ideal to survive harsh marine environments. Chart plotter and PC can be easily integrated over its NMEA 2000, NMEA 0183 and waterproof USB port. Its integrated micro SD card slot enables AIS data logging and firmware upgrade in the most intuitive way. 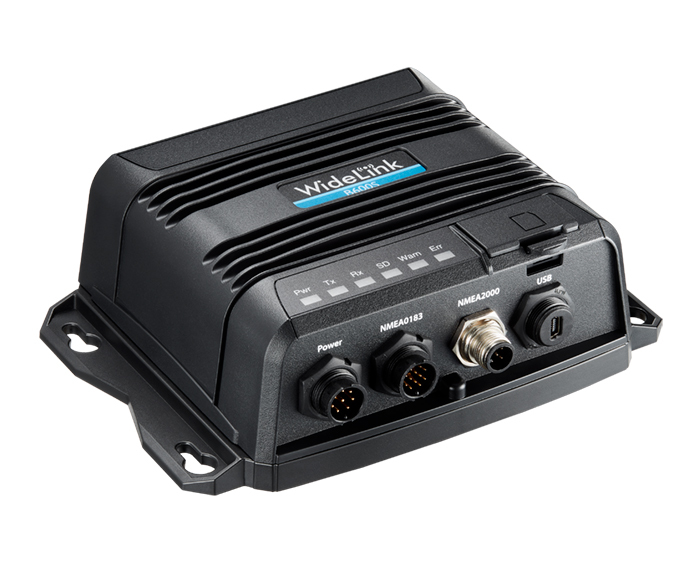 The WideLink B600S converts NMEA 2000 instrument data into NMEA 0183 sentences, such as heading, speed, depth, temperature, wind, pressure and so on. With the multiplexing function, sensor data along with AIS and GPS information can be displayed on chart plotters and PC programs.